As a consultant, I have multiple VPN clients at any given time loaded on multiple machines. In this case it was my old trusty Dell D830 (upgraded with an SSD for like-new performance) that was giving me fits. At some point in time the Cisco VPN client got to the point it was able to connect, but I could not access any resources on the client’s network. Basically, there is no DNS resolution and nothing would ping or connect. When you start looking around at the VPN Client Statistics, you notice the Packets Encrypted and Decrypted values are 0…they never change. In this screen shot, you’ll see they are NOT zero, which means things are working again! Well, how do you fix this? 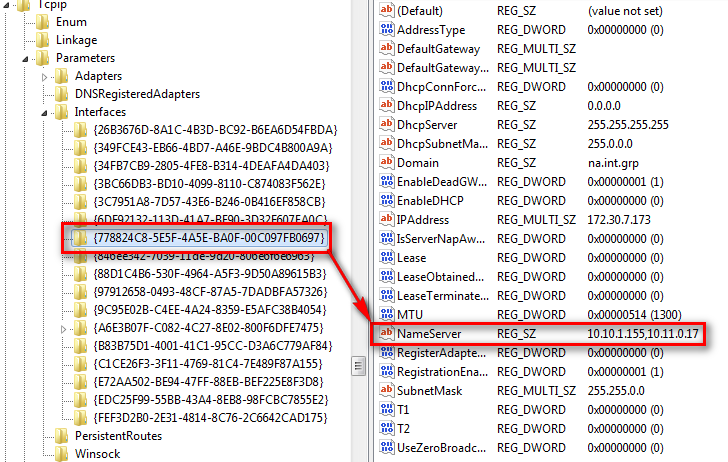 It appears it has to do with the binding order of the Cisco VPN adapter you see in your Network Connections. 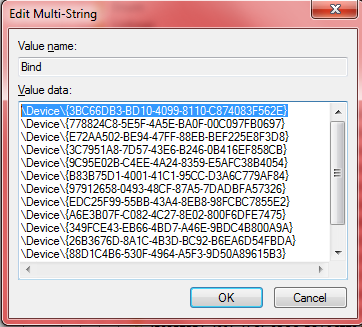 Checking out the key HKEY_LOCAL_MACHINE\SYSTEM\CurrentControlSet\services\Tcpip\Linkage and finding the Bind property, you can open it up and see a bunch of devices and their GUIDs. Now the trick is to be able to look at this list and determine which one(s) belong(s) to the Cisco VPN adapter and move it/them to the top of the list. 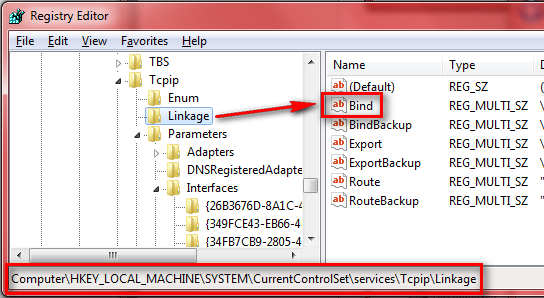 One of the ways to do this is to navigate to the HKEY_LOCAL_MACHINE\SYSTEM\CurrentControlSet\services\Tcpip\Parameters\Interfaces key and start clicking through the short list, while paying attention to potentially identifiable information in the right pane. 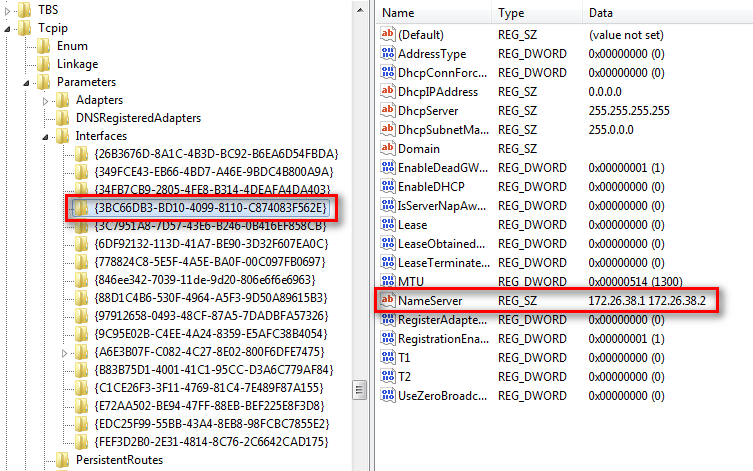 Usually this is in the form of a NameServer, which you can generally find in the properties of the network adapter after you’ve made a connection to the VPN server and the VPN network adapter has been enabled. Now, it appears, at least in my case, that there are a couple of entries that look suspicious. They were suspicious because they were both subnets that are used within the VPN network adapter configuration for this client, i.e. 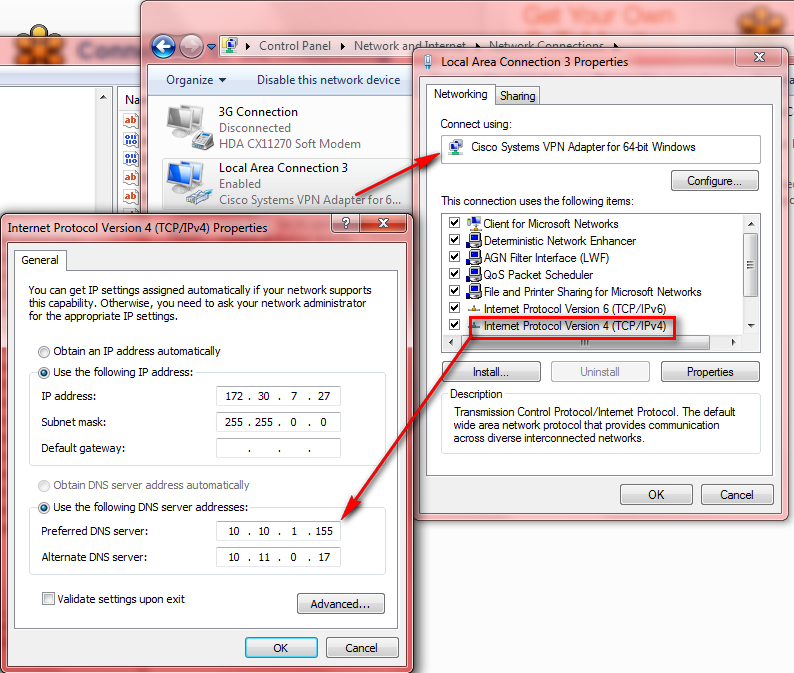 IP address beginning with 172.x.x.x and name servers in the 10.10.x.x range. What I found was a 172.26.x.x NameServer and a 10.10.x.x NameServer and I adjusted them so they were at the top of the list, with the 172.26.x.x entry at the top and the 10.10.x.x entry just below it. I’m not sure if one of these is just a bad entry that could be deleted, but for the time being I’m leaving them both in, until such time I can have a better determination. 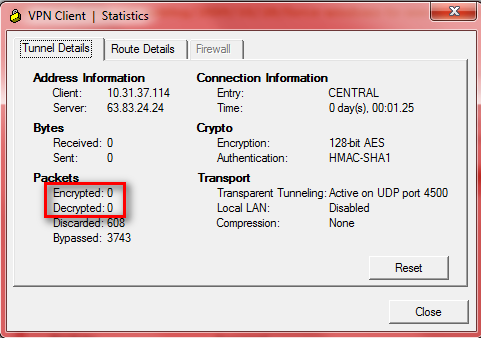 I fired up the VPN, it connected and, low and behold, the packets were encrypting and decrypting again! DNS name resolution was working! All’s well in Cisco VPN land, once again. This entry was posted on September 26, 2014 at 10:32 pm	and is filed under Computer Software, Networking. You can follow any responses to this entry through the RSS 2.0 feed. You can leave a response, or trackback from your own site. Thanks for the information. It worked. Very frustrating searching for an answer to this problem. Too many give the same useless answers. They never had this problem and are just giving generic useless things to try! Again thanks.